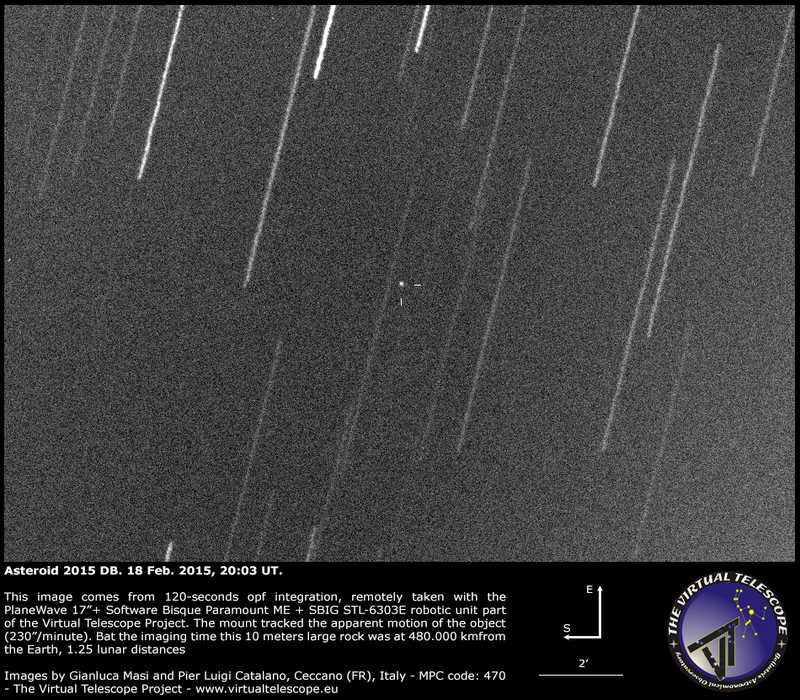 At Virtual Telescope, we are always interested to track close approaching asteroids, especially when they come quite close and are difficult to image. Our robotic system has proven to be one of the best in the world handling very hard targets. 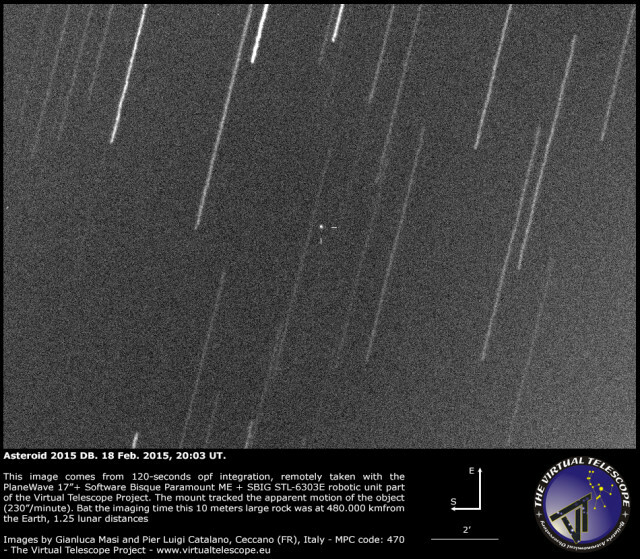 On 17 Feb. 2015, the Catalina Sky Survey discovered a small asteroid, with a diameter of about 10 meters, going to safely brush our planet the very next day. As soon as the Minor Planet Center announced its provisional designation, 2015 DB, we managed to image it around its minimum distance (nominally at 19:27 UT, 18 Feb. 2015, at about 500.000 km from our planet). The weather was good and we tried to image the asteroid while it was close to its min distance and low on the NE horizon. The image above comes from 120 seconds of integration, remotely collected with the PlaneWave 17″+Paramount ME+SBIG STL-6303E robotic unit part of the Virtual Telescope Project. The mount tracked the large (230″/minute) apparent motion, so stars are leaving long trails, while 2015 DB shows as a sharp dot of light in the center. The Paramount ME always provide a superb performance.